4 double-bedrooms with bathroom and 1 suit with salon. 2 Standard Double Bedrooms, a Standard single private bedroom and a shared room (8 pax). Linen and towel provided. Breakfast is offered by the house. 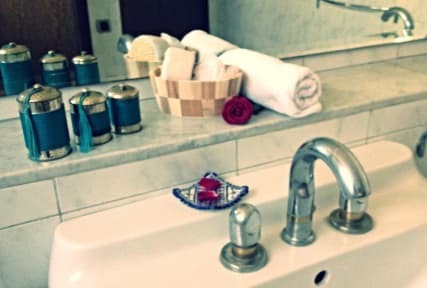 For your well being, discover Hammam and aromatic sauna. 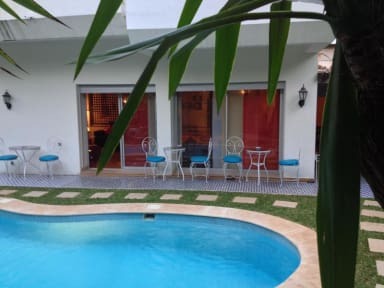 Carre Francais de Casablanca is located in town-center, next The Great Mosquee, La Corniche, and Anfa. You can easily walk to te beach: 10 minutes, go by car the The Old Medina: 10 minutes, and The Habous: 15 minutes. Check out from 08:30 to 12:00. In fact, I did not live here because of my personal reasons! very sorry!